Don’t panic if you need heating repair for your Troutman home—call us instead! It is easy to panic when you wake up in the morning to a frigid home because your furnace is not operating correctly. At Cool Comfort Heating & Air, we want to try to put your mind at ease, though. There are a number of common issues that can cause this that won’t mean a hefty heating repair bill. We know it is unpleasant to be shivering and waiting hours for someone to show up, so we make sure to dispatch a truck promptly to your home in Troutman, North Carolina. We also make sure each truck is outfitted with the most common parts for all the typical furnace brands. In most cases, your heating repair will be accomplished on just one visit without needing to make a run to get parts. Some causes do not even require parts at all, such as dealing with a clogged filter. We come equipped to handle that, as well as wiring issues, heating coil issues, belt and motor failures, and more. One of the things you will love about us is that we keep you in the loop. We tell you what the problem is and how much it will cost. This gives you the opportunity to decide if you want to continue or whether perhaps it is time to change out an old unit for a new one. If your unit is getting up in years and you continually face the need for heating repair, it may be time to replace it. If you have questions about heating repair and how to get set up with a maintenance plan that may reduce the need for heating repair, give us a call. We’ll be glad to assess your system and give you an honest opinion about the options. 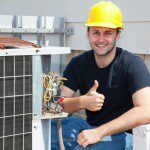 At Cool Comfort Heating & Air, we provide high-quality heating repair services in Troutman, Mooresville, Huntersville, Cornelius, Denver, and Davidson, North Carolina.